Two males juvenile suspects were apprehended early yesterday after they allegedly broke into a vehicle and stole items. 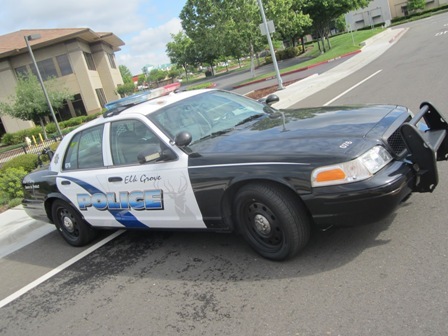 Elk Grove Police officers were dispatched to Laguna Boulevard and Old Creek Drive shortly after 4 a.m. after receiving calls of two suspicious people in the area. Upon arrival, officers located two 17-year old males. One of the suspects was seen discarding a medium sized bag prior to being contact by the officers. The officers determined that the bag had been stolen from a nearby unlocked vehicle. The juveniles were taken into custody and transported to the Elk Grove Police Department. Both were processed and released to their parents. 17 year olds out at 4:00am, probably learned how to steal from their parents. I really hope the parents are held accountable to the actions of the illiterate kids.